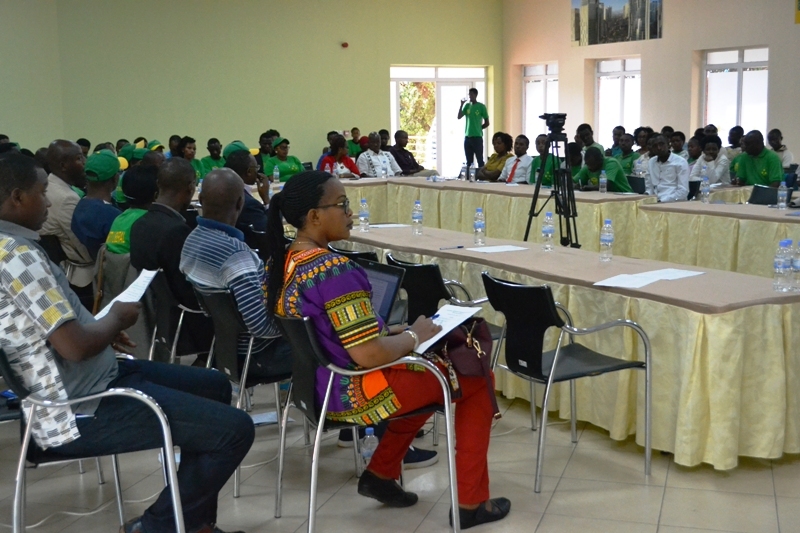 More than 90 youth representatives in Liberal Party (PL) across all provinces of Rwanda were urged to use information technology in creating income generating jobs and share acquired skills with other youth they represent. This briefing was delivered by Speaker and PL President Donatille Mukabalisa while officially opening a one-day workshop from which these young boys and girls have acquired various skills in Job creation, drug abuse prevention and the role of youth in politics. Mukabalisa has assigned them to go and share the skills to the rest of the youth in the community they represent. “Today we have trained youth representatives to use ICT in creating jobs, that leads to good health.We encourage them to go and implement and share the skills to other youth for better productivity in return,” said Mukabalisa. 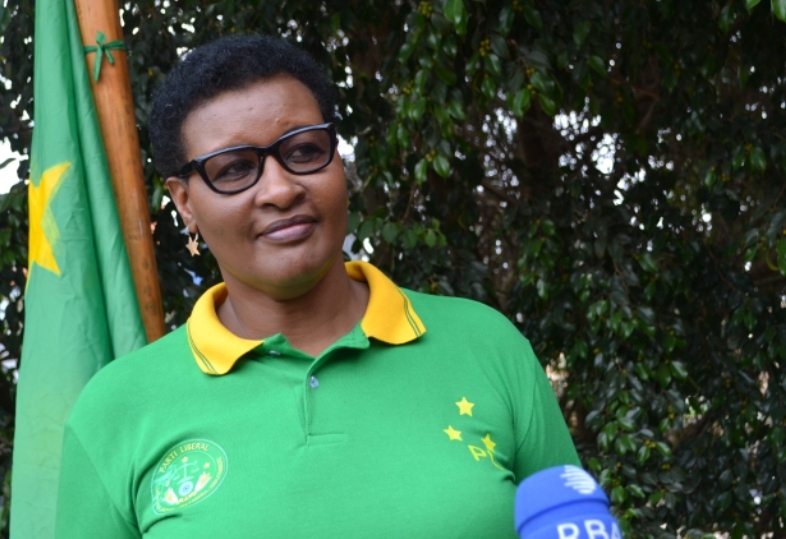 Speaker and PL President Donatille Mukabalisa during the interview with the media. 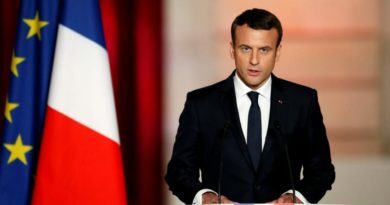 “Rwanda needs to create more jobs, you must create them instead of waiting for white collar jobs which the country cannot manage to find for all at the moment, you must strive for self confidence and maintain the self-reliance spirit which is in line with our country’s vision. Working together is the only secrete to achieve your targets and you must share ideas in whatever you do,” She added. 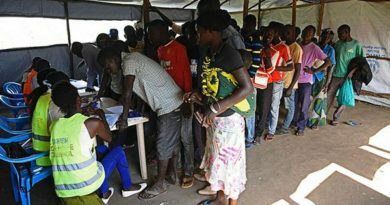 She also urged the youth to bring solutions instead of being a problem to the country by fighting against drug abuse and HIV/AIDS which are among the major hindrances to the country’s socio-economic development. “Drug abuse is a barrier to youth socio-economic development among many countries. 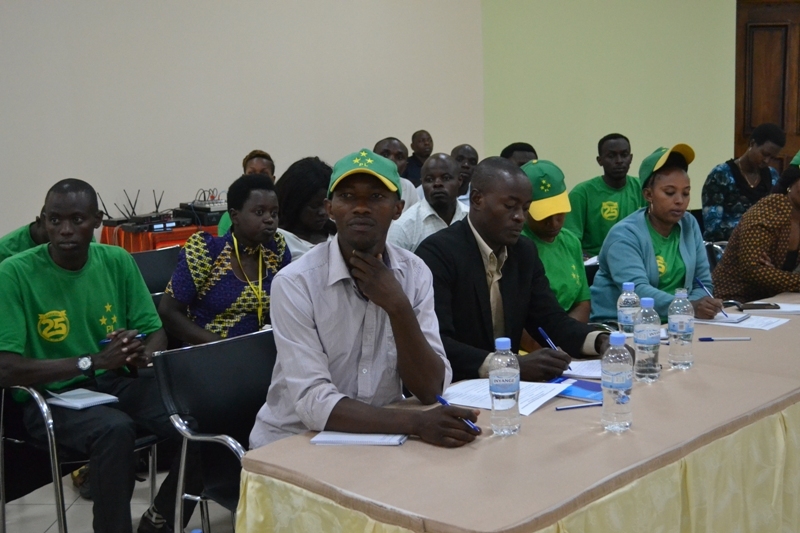 This is not only a challenge for only in-school youth, but also for the general youth,” noted Mukabalisa. 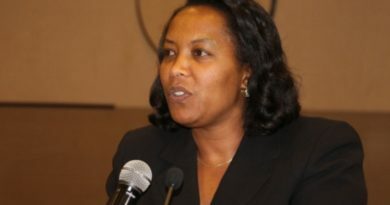 Virginie Akimanizanye, the party’s-in charge of youth at country level said that they thought to equip youth with needed skills to create jobs and remain healthy and patriotic as they are the country’s efforts. “We planned this workshop for the youth from all provinces and districts to give them various skills including job creation. We thought on building their capacity to help the country move fast in its vision and we must show our contribution towards the sustainability of our country,” said Akimanizanye. 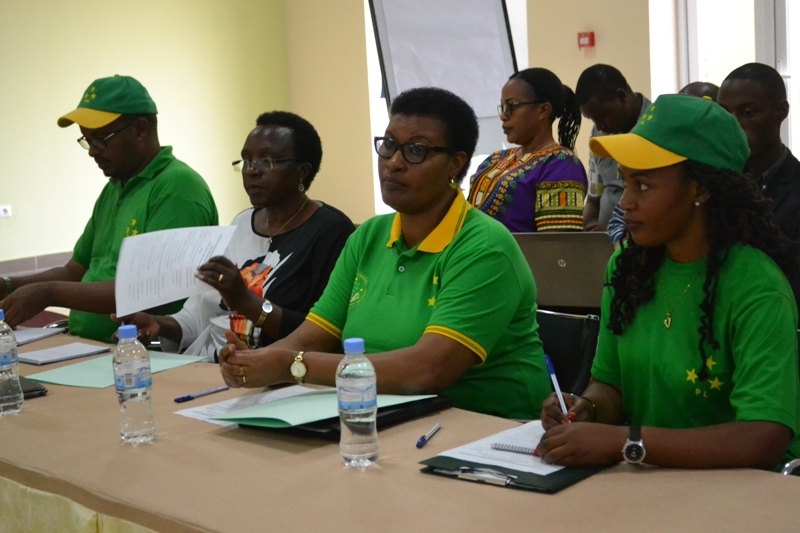 Speaker Donatille Mukabalisa (C) with Virginie Akimanizanye (R) and other officials from PL during the youth workshop. 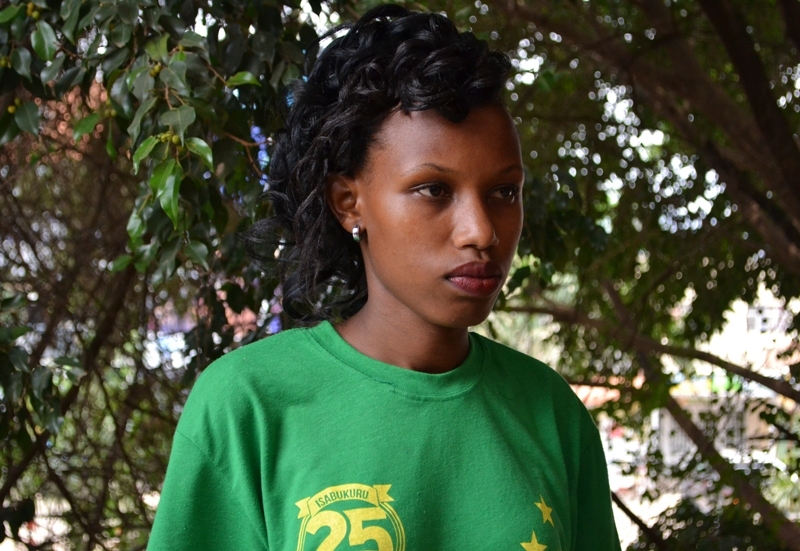 Jeanne de Chantal Uwamariya, 23, is the youth representative in Kirehe District and she said the workshop provided a package of skills for her to create jobs following various opportunities in her native district. “For me, the workshop is enough constructive and will help me to create jobs when I get back home as I cannot wait for the government’s job. This is possible despites financial constraints including lack of start-up capital,” said Uwamariya. Jeanne de Chantal Uwamariya is undoubtedly ready to create a job after the workshop. Uwamariya is a University graduate but she said will exploit the opportunities available in Kirehe district to create a job either in Agriculture (bananas) and Livestock (cow growing) or in cross-border trade as a neighbour of Rusumo border to Tanzania. The liberal party has almost 300,000 youth-members across the country as each district has 10,000 youth. The workshop was attended to by over 90 youth across the country.